I'm joining in on Friday Favorites today with Erika, Narci and Andrea. These girls are two of my favorites. They are just so fun. Will Holden went to MDO this morning so I took them out to eat breakfast and to Target. I just love being with them. We then had to go home and pack because they headed to their grandparents for a week today. And so I get a week with just my boy who I tell everyday that he is my favorite boy. And he just laughs and laughs. I started watching The Office again on Netflix. I watched it years ago but it's just as funny now. Scott and I have started watching a couple of episodes every night. I think it's so funny to me because I worked for 15 years in an office and the characters remind me of a lot of my former co-workers. And I just love Jim and Pam. LOVE THEM! We watched their wedding again recently and I CRIED. Scott looked at me and said "are you seriously crying?" but that part on the boat where they secretly got married and Jim said he planned it as soon as they met. So sweet. I'm sort of borderline obsessed with embroidered shirts. I had this one on in an instastory and a got a ton of messages asking where I got it. It's from Zara. 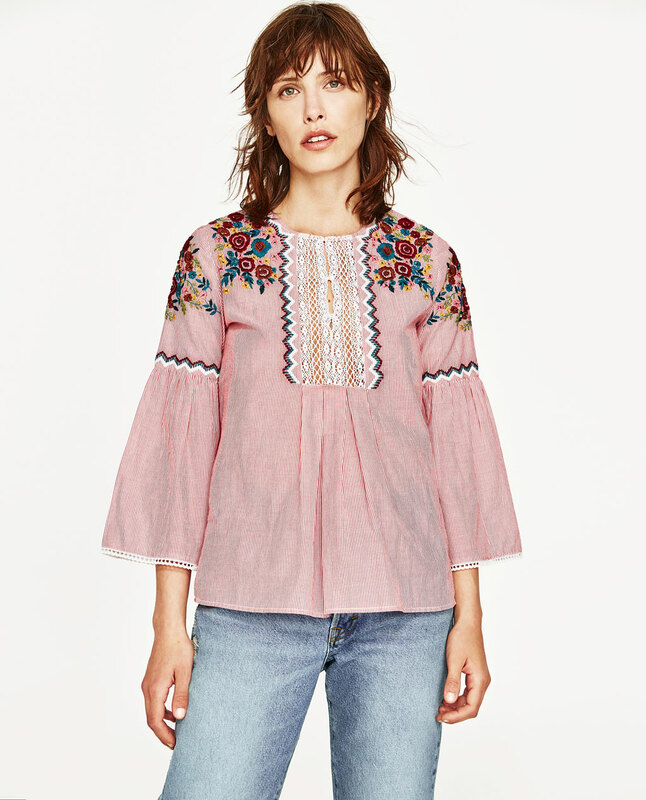 They have SO many cute embroidered shirts right now.